With Kavanaugh, Employers to Anticipate Stronghold of Legal Battles in the Field of Labor & Employment Law | Zabell & Collotta, P.C. Following President Trump’s nomination of U.S. Appellate Court Judge Brett Kavanaugh to Supreme Court Justice Anthony Kennedy’s open seat, much of the political discussion has revolved around Kavanaugh’s past statements regarding a sitting President’s immunity from criminal prosecution and investigation and whether Roe v. Wade will be overturned. However, one of the greatest impacts of Kavanaugh’s appointment, for decades to come, would be in the field of labor and & employment law. Kavanaugh, President Trump’s second Supreme Court nominee in a two-year span, is expected to join Supreme Court Justice Neil Gorsuch on the employer leaning side of the aisle in issues involving labor and employment law. Since Gorsuch’s confirmation on April 7, 2017, the Supreme Court has issued two landmark decisions each weighing in favor of employers in the matters of Janus v. AFSCME, et al., and Epic Systems Corp. v. Lewis, with Gorsuch authoring the latter. In Kavanaugh, age 53, Gorsuch, age 50, may have found a running mate that will result in additional anti-labor decisions for the foreseeable future. One especially notable case during Kavanaugh’s tenure is the matter of Trump Marina Associates v. NLRB, et al.. Kavanaugh, then sitting on a panel of three justices at the United States Court of Appeals of the District of Columbia Circuit, overturned a 2010 NLRB ruling under which it was found that Trump Plaza Hotel and Casino in Atlantic City had violated the National Labor Relations Act by refusing to negotiate with the United Auto Workers. While the matter was overturned, it remains open today. It should therefore be no surprise that President Trump would nominate a perceived anti-labor justice to the Supreme Court of the United States following the 2016 decision in the NLRB matter of Trump Ruffin Commercial, et al., Case No. 28-CA-181475. 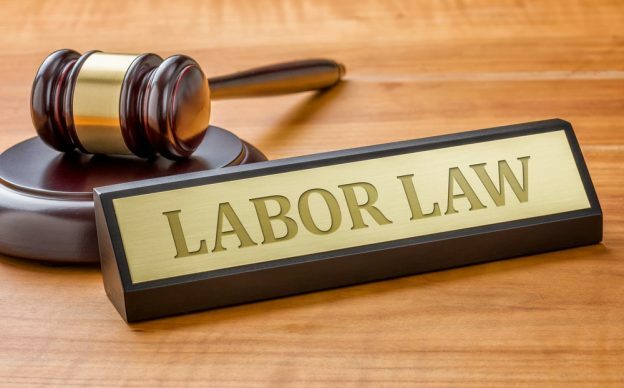 In this most recent decision, the NLRB found that the Trump International Hotel in Las Vegas had refused to bargain with Culinary Workers Union Local 226, which represented more than 500 individuals employed at the hotel. The NLRB issued an Order requiring that the hotel enter into negotiations with Local 226 and a collective bargaining agreement was entered between the two on December 21, 2016. Justice Kennedy was long considered to be the middle-ground in legal battles over labor and employment law issues. Should Kavanaugh be confirmed, as is expected with the Republican Party’s control of the senate, employers can expect favorable rulings like those this past term for the next decade or more. By: Ryan M. Eden, Esq. on August 3, 2018.